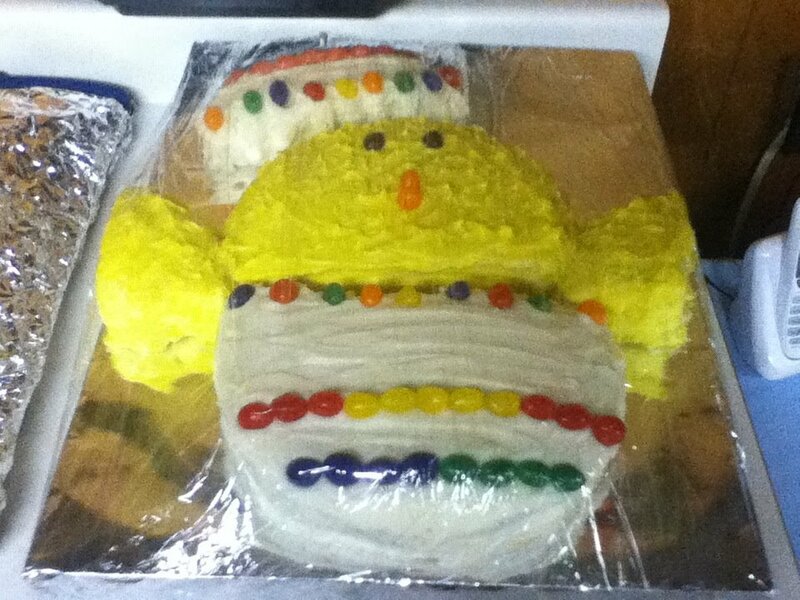 I have had “Easter Cakes” for the last two years. I did not spend all day Saturday baking, frosting and decorating a cake. Usually, I bake the cake and freeze it early in the week. I like to freeze it because it makes for a moister cake. I defrost it the night before I want to decorate it. My friend, whose mother makes professional decorated cakes, told me to defrost it on the counter because if you defrost it in the refrigerator, you will get condensation. Frost every piece with a “crumb coat” and let it set. Frost the cake with the colors you have chosen. Then the fun part – decorating the cake with candy! This year will be the best ever – my niece and sister are bringing the desserts!